Just when I thought that it wasn’t possible, I’ve outdone myself again. Yep. Blueberry muffins. 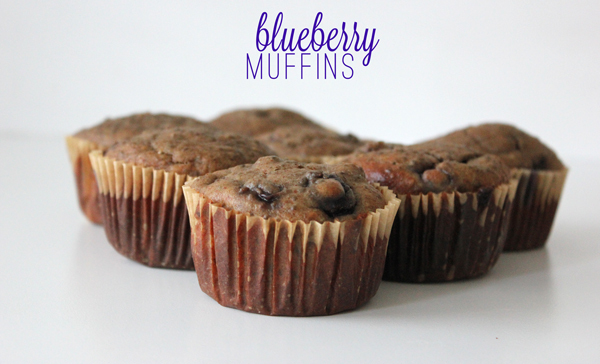 And not just any old blueberry muffins, these are gluten-free, sugar-free and dairy-free and (here’s the kicker) they’re edible and super easy to make! I got the idea for these muffins from here because a girl can only eat pancakes for so long. But I thought it needed a bit of fancying up. They’re really easy and they actually taste good and you can eat as many as you want…within reason. Put all ingredients except blueberries into a blender or food processer and blend/cusinart until smooth. It works best if you put the eggs in first, you don’t want to make your appliances work too hard as they don’t seem to love that. When blended, pour batter into a large mixing bowl and mix in blueberries. Pour batter into muffin tins. I used liners and an ice cream scoop so they were all even, but if perfect isn’t your thing a spoon and greased muffin pan would work just fine. Oh god new best friend. Obviously I befriend my food on the reg. And this one ought to be in my belly immediately. Totes going to make them and bring ’em to Maine! 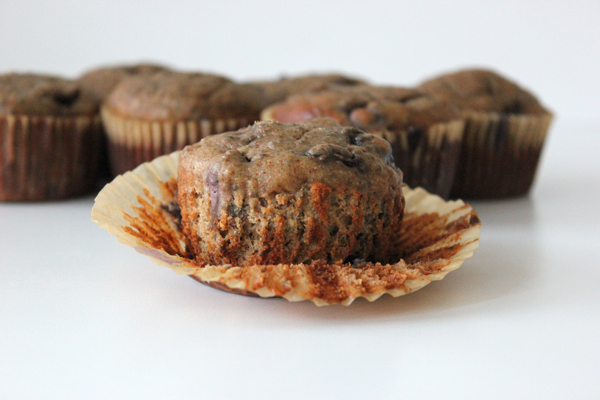 I love muffins but never have them bec they are so bad for you – love a healthy alternative, can you bake & send some to Boston because god knows I will F up this recipe and have nothing but a mess of a muffin in the end. You had me at MUFFIN! oh my god – yum!! bookmarking this one. wow. i am sort of fascinated by these… will need to try this week! thanks! pinning this immediately! i’m on the hunt for sugar and flour-free goodies and these look amazing. These look delicious, I can’t try them out! I’m not a baker like you but I made Paleo Bread (from Elena’s Pantry) this weekend and I was VERY pleasantly surprised. Yum…and super easy!! I think I might try these this weekend. Do you think a variation with something like pumpkin & nuts could work with the same ingredients (plus some additional spices). gluten-free, sugar-free AND dairy-free?? I’m not sold…YET.